Legends of Tomorrow S4E8 Review: "Legends of To-Meow-Meow"
Don’t worry if you forgot to bring your bananas—this episode is full of them. We venture into our time-traveling crew’s midseason finale, which covers everything from Zari turning into a cat to a Legends crew populated entirely by puppets. Plus, how many John Constantines is enough John Constantines? Only one way to find out. Legends of Tomorrow S4E7 Review: "Hell No, Dolly!" Not unlike the Legends themselves, the Legendscast takes a somewhat non-linear approach to episodes, returning from their travels to cover the latest episode of the time-traveling misfits, which includes a surprisingly interesting look at resident criminal Mick, a murderous puppet, and a mustache that no one will soon forget. 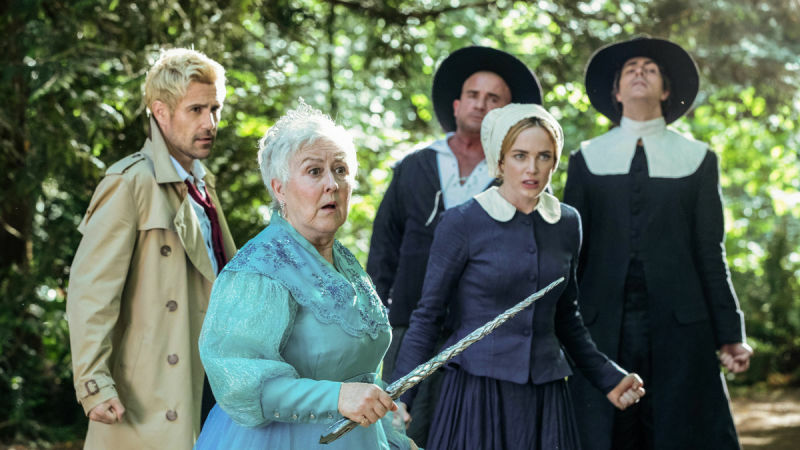 Legends of Tomorrow S4E2 Review: "Witch Hunt"
Bringing magic to the Salem witch trials? What could possibly go wrong! We reconvene our Legends flashcast this week for the season’s second episode, with an appreciation of odd couple roommates, Pig Latin fluency, and our first—but certainly not last—Oh, Gary moment. 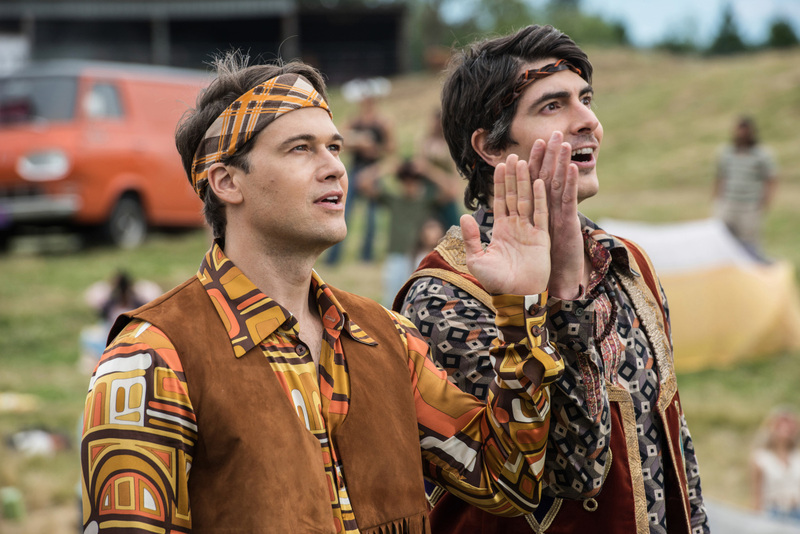 Legends of Tomorrow S4E1 Review: "The Virgin Gary"
We’re back on the horse—the horse with a horn that gores hippies, that is! After a long break, we’ve come to a surprising discovery: DC’s Legends of Tomorrow had a terrible first season, but eventually found its groove as a hilarious, irreverent offering in the DC TV universe. Lisa Schmeiser assembles her own motley crew of well-meaning rogues, including her former fellow Flash Flashcast co-host Tony Sindelar and Speedy Arrowcast co-host Dan Moren to discuss the delights of the team-up show’s fourth season debut and what made them stick around for more. So we’re breaking up with “DC’s Legends of Tomorrow.” At least for now. In this final scheduled episode we discuss the problems with the show and why we’ll keep watching it, but probably while we’re also checking our e-mail and folding our laundry. We’re not mad, we’re just disappointed. It’s not us, “Legends of Tomorrow.” It’s you. Legends of Tomorrow S1E2 review: "Pilot, part 2"
Our all-star group of TeeVee panelists breaks down the second part of the “Legends of Tomorrow” pilot. A predicted death occurs! A Cheech & Chong movie almost breaks out! And what is Rip Hunter doing off-screen? Legends of Tomorrow S1E1 review: "Pilot, part 1"